What is a fruitcake? That question is harder and harder to answer as each generation comes into adulthood. Those of us in our 40's, 50's 60's and even more silver of generations know that it is a baked good of sometimes evil and sometimes joy. Dense. Heavy. Spiced. Fruity. What if a cocktail imparted only the better notions of said baked good? That is what Island Fruitcake tries to be. Two parts spice and three parts fruit is what makes Island Fruitcake a miracle in mixology. Stirred together these liquors and spiced rum become something reminiscent of the forbidden cake of your darkest holiday dreams. In a mixing glass combine all ingredients with ample ice. Stir very well. Strain into a fancy glass. 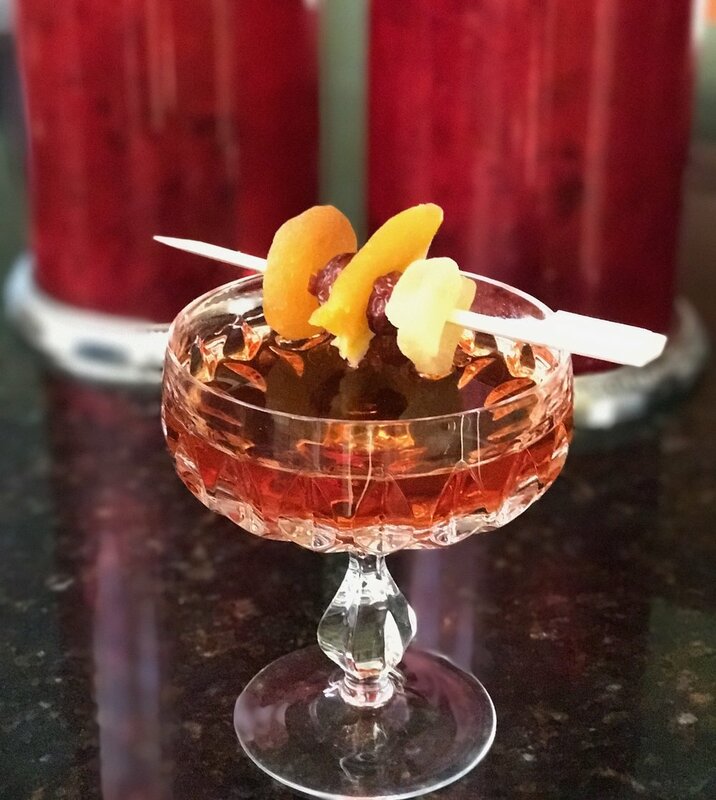 Garnish with skewered maraschino cherries and dried fruits. Sip slowly and the stressful holiday season will fade away. Cheers!